Beacon Hill is one of the oldest and smallest Boston neighborhoods, approximately one mile square, adjacent to the Public Garden and Boston Common on the South; Cambridge Street and the Massachusetts General Medical Complex on the North; Storrow Drive and the Charles River on the West as well as MIT and Cambridge's Kendall Square; and the Midtown and Financial Districts on the East. It is known for its many historic rowhouses of the Federal, Greek Revival and Victorian era, decorative iron work, brick sidewalks, perpetually-burning gas lights, window boxes, and picturesque streets. The architecture is protected by restrictive regulations that prohibit changes to any visible part of a structure without the approval of an architectural commission. Beacon Hill contains a South Slope which includes Mount Vernon, Chestnut, picturesque Acorn and Beacon Streets and Louisburg Square; a North Slope, just a few short blocks away, near the Massachusetts General Hospital, Suffolk University, Quincy Marketplace, and the financial district; and the Flat of the Hill which includes Charles Street. 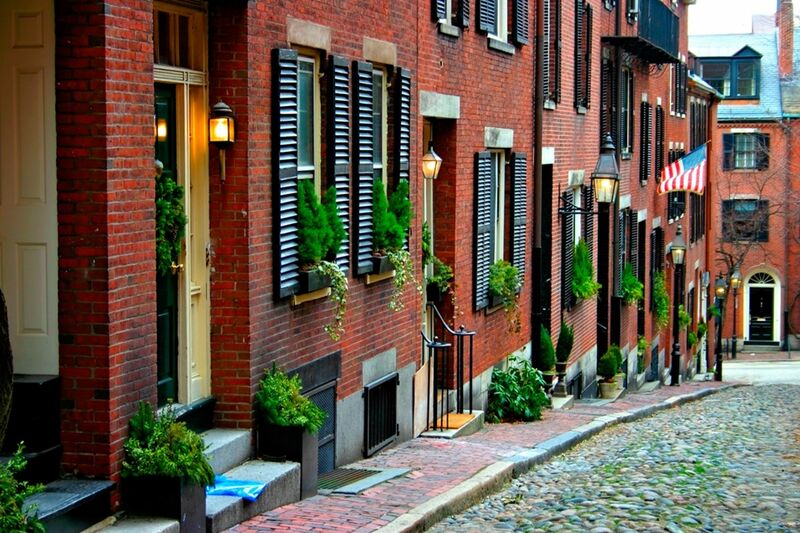 Charles Street is Beacon Hill's main retail street with upscale boutiques, antique shops, and restaurants. 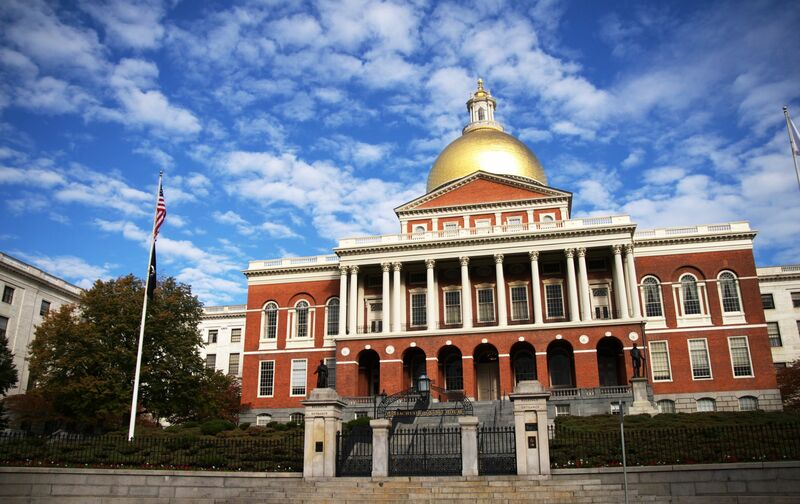 The Massachusetts State House is at the top of the Hill overlooking Boston Common. Few properties include parking and many residents utilize area rental garages and the T- Boston's transit system. The West End,sometimes referred to as the Bullfinch Triangle, is a small neighborhood tucked behind Beacon Hill between Cambridge Street and the North End/North Station. The Massachusetts General Hospital and the New England Eye and Ear Infirmary are located in this area. Several 1970's mid-rise and high-rise residential developments in this neighborhood include Whittier Place, West End Place, Hawthorne Place, and a new development, Emerson Place. Many of these developments are located in the 48 acre complex known as Charles River Park. Residents can easily access the MBTA Red Line and are fortunate to have the Charles River walking and biking path in their "backyard."